Happy Holidays. We hope each of you has a wonderful and safe holiday season. And please don't forget your pets during this time. Just exactly what is frostbite? Read more about it here. Have fun browsing and shopping among all these dog related items: plates, clocks, figurines, toys, fine jewelry and much more. Looking for dog supplies or other dog items for the home? Dog Sports Equipment? Dog Grooming Products? Dog Health Supplies? Dog Items for the car? You'll easily find all of that, and more, here. Just browse around at your leisure. Here are a few beautiful GSD Wallpapers / German Shepherd Wallpapers to download for your own desktop. 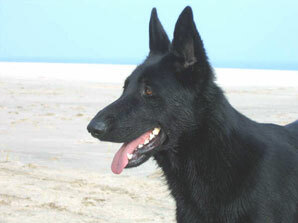 Feel free to view the rotating German Shepherd Dog photos you will find here anytime. This GSD blog page will keep you up on the most recent updates, new articles and special announcements for our German Shepherd Dog site.